AB de Villiers blistering knock of 70 went in vain, as Mumbai Indians defeated Royal Challengers Bangalore by 6 runs at M Chinnaswamy Stadium, Bangalore on Thursday. Mumbai made two changes as Lasith Malinga and Mayank Markande were included in place of Ben Cutting and Rasikh Salam, while Royal Challengers went in with an unchanged line up. 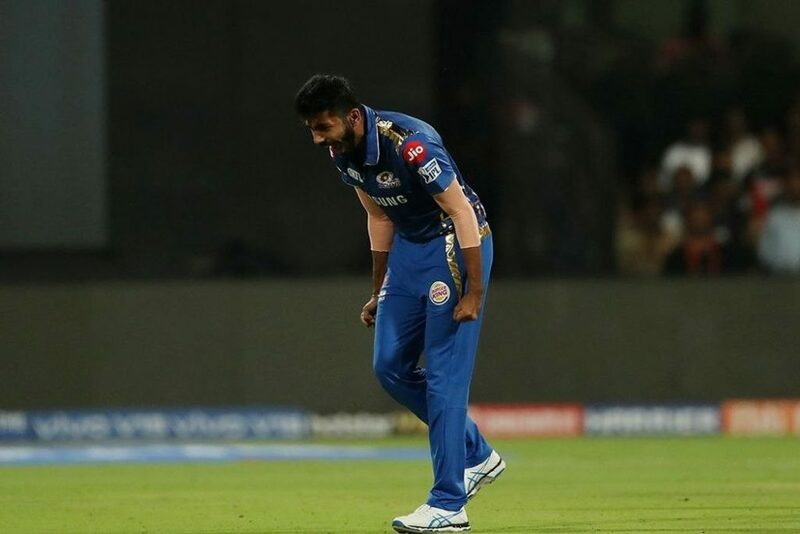 After being sent into bat, Mumbai Indians opening pair of Rohit Sharma and Quinton De Kock got their team off to a solid start, by adding 54 runs for the opening wicket, before Yuzvendra Chahal dismissed the former for 28. Rohit and Suryakumar Yadav put on 29 runs for the second wicket, before Umesh Yadav claimed the prize scalp of the Mumbai Indians skipper who fell two runs short of his half century. Yuvraj Singh came in next, and looked in sensational form as he hit 3 consecutive sixes off Chahal, before the 37 year old wasn’t fourth time lucky, as he was caught at long off by Mohammed Siraj. The 28 year old Chahal brought the home side back into the game, by removing Suryakumar Yadav and Kieron Pollard in quick succession. Mumbai Indians from a comfortable 124 for 2 slipped to 147 for 7. Hardik Pandya’s quickfire knock of 32 helped the visitors recover from a middle order collapse, as they posted 187/8 in their respective 20 overs. Yuzvendra Chahal was Royal Challengers best bowler as he claimed 4/38, while Umesh Yadav and Mohammed Siraj bagged 2 wickets each. Chasing a target of 188 runs, the opening duo of Parthiv Patel and Moeen Ali started briskly by adding 27 runs, before the latter was run out for 13. However, skipper Virat Kohli steadied the chase as he put on 40 runs with Parthiv for the second wicket, before Mayank Markande bagged the former for 31. AB de Villiers, who got a reprieve when Yuvraj failed to grab a sharp chance in the slips, got into the act, as he along with skipper took on the MI bowlers by adding 49 runs for the third wicket stand, before the former was removed by Jasprit Bumrah on 46. In the process he also became the second batsman to reach 5000 runs in the Indian Premier League. De Villiers reached his fifty off 31 balls, before Bumrah bowled a stunning 17th over by giving away just one run and claiming a wicket. With 22 needing off 2 overs, The 25 year old ace bowler claimed the wicket of Colin De Grandhome and gave just 5 runs, putting the visitors firmly in command. With 17 needing off 6 balls, Shivam Dube smashed Lasith Malinga for a six in the first ball, but the Sri Lankan veteran came back strongly by giving away just four runs in the remaining five deliveries. With 7 needing off the final ball, the 35 year bowled a superb yorker to Dube, but replays suggested it was a no ball. The umpires failed to spot that, thus giving Mumbai Indians their first win of the tournament. Jasprit Bumrah was declared the Player of the Match. The eight match of the Indian Premier League would be featuring both Sunrisers Hyderabad and Rajasthan Royals at Hyderabad on Friday.